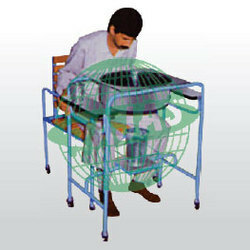 Backed by the rich industry experience, we manufacture and export a wide range of Panchakarma Equipment. Our range is medical furniture made of superior grade materials and used for in patient and outpatient care. We fabricate our medical furniture in varied designs and fittings to suit the specific needs of patient care units. 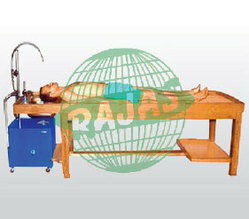 Our complete assortment includes Massage Droni Shriodharma Table, Steam Cabinet (for 1 person with steam generator), Nasya Peeth and many more. We manufacture our comprehensive array using precision performance equipments to ensure its long functional life. Shirodhara Table Made from Teak Wood and Jointless Hard Wooden TOP which is main feature of our Table. Size 6.5 feet long 2.75 feet wide and 2.5 feet high from floor. Natural colour polish with water resitant treatment to protect the table from water exposure. oil outlet with Bucket provided on head and foot side both. Stainless steel bucket and PP pipes attached with the table, Top Little slanted towards foot side to flow oil easily. Packaging Details: Packed and Wrapped with Cargorated Sheet and PP lamination. 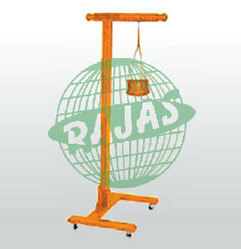 Heavy duty carved Wooden stand with wide wooden base for stability. Base is mounted on four wheels for mobility. Unit comes with "Copper" oil pot and hanging chains. Packaging Details: Wrapped in corrugated sheet and then PP vacuum Plastic wrapping. Our enterprise is involved in manufacturing and supplying of a wide range of Nasya Peeth. 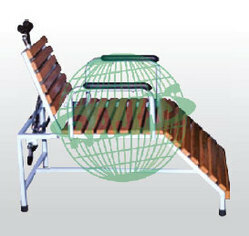 This is a tubular steel chair equipped with wooden rungs seat to offer comfortable feelings to the patient’s back portion. Our range is fabricated from the premium grades components to ensure long functional life and corrosion resistant finish. Moreover, the chair is provided with comfortable head support for easiness of the physicians in putting medicine in the nostrils. Frame of the chair made using square tube and finished oven baked enamel. Seat & back polished with teak wood rungs for convenient seating of the patients. Suitable for giving steam bath at a particular point. 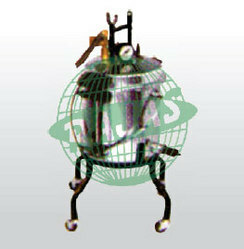 The aluminium body boiler is fitted with an electric heater, pressure gauge, safety pressure valve, steam flow control valve and a pointed nozzle to give proper steam-bath at a point. Mounted on Four wheels for easy mobility. Stainless Steel constructed, double walled & well insulated bath tub is 48"long x 22"wide x 20"deep. Tub is fitted with 1Kw heater and a thermostate to maintain the temperature for soothing and relaxant hydro-massage bath. 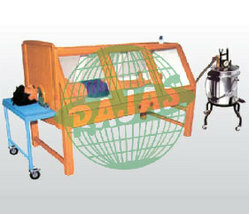 A MOTOR PUMP is provided for with a hand nozzle for specific jet massage or store out the Water or Oil. The well polished tub is fitted with patient hold bars and bottom is shaped for a proper sit of the patient. Tub comes complete with water Inlet, Outlet and Overflow valves. Tubular steel vaman table is mounted on 4 wheels & fitted with stainless steel sink, side trays and comes with measuring Jar for vaman kriya. A steel chair with wheels and reclining back is also provided for comfort. Sarvang vash yantra hardwood constructed, with three acrylic windows, on each side. Steam is generator with safety devices. The steam passes in sarvang yash yantra from one sides & can be controlled by controller. 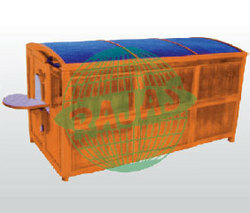 A special moving trolley with perforated bed, where patient lies, is an integral part of the unit. Fitted with digital temperature controller device for temperature visibility. Stainless steel tray under the perforated bed for waste water collection and drainage system must be provided, all the unit must be coated by polyurethane coating for protection from moisture, over all size is 84" x 36" x 24". Full-body steambath, made of water resistance hard-wood and teakwood. Speciffically designed as a box for weak patients to have steam bath in lying down position. Patient’s head rests on wooden pillow out side the chamber and body rest on wooden mesh inside the box. The lid is fitted with fiber glass covering, lid opens on hinges for convenience of the patient to enter. Steam is generated electricaly, inside the yantra, in stainless steel open boiler with 3 x 1kw. Heaters and steam spreads uniformly. 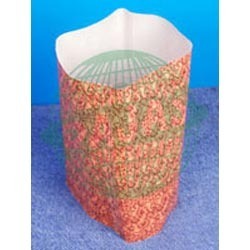 A stainless steel mesh box is provided with boiler to place medicinal leaves/roots inside the boiler. Note: if requested the boiler can also be fitted with lpg gas burners at extra cost. Overall approximate size: 84" x 36" x 24". cleaned easily. The Steam generator is fitted with digital temperature controller & a Timer to prefix the treatment time. The foam padded back with side arm supports adds comfort to the patient.